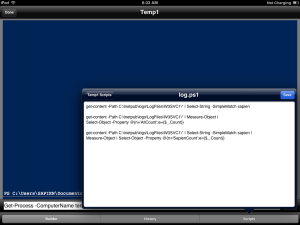 Want to see some more from iPowerShell Pro V3? Well here you go! 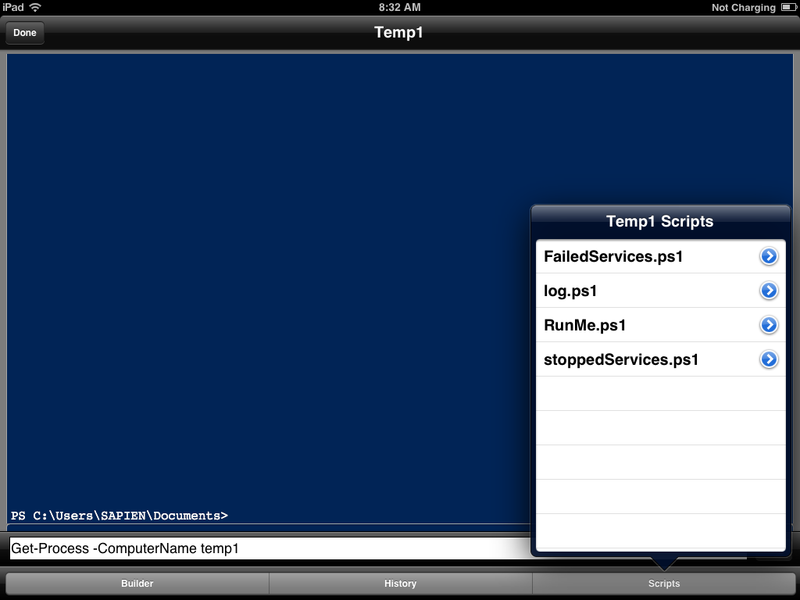 On the PSWA console screen, tap the Scripts button to get a list of scripts on the server. 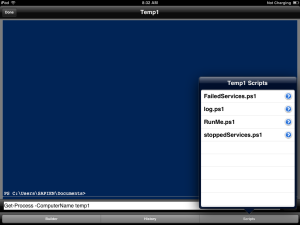 Tap the chevron on the right of the script name to edit the script. 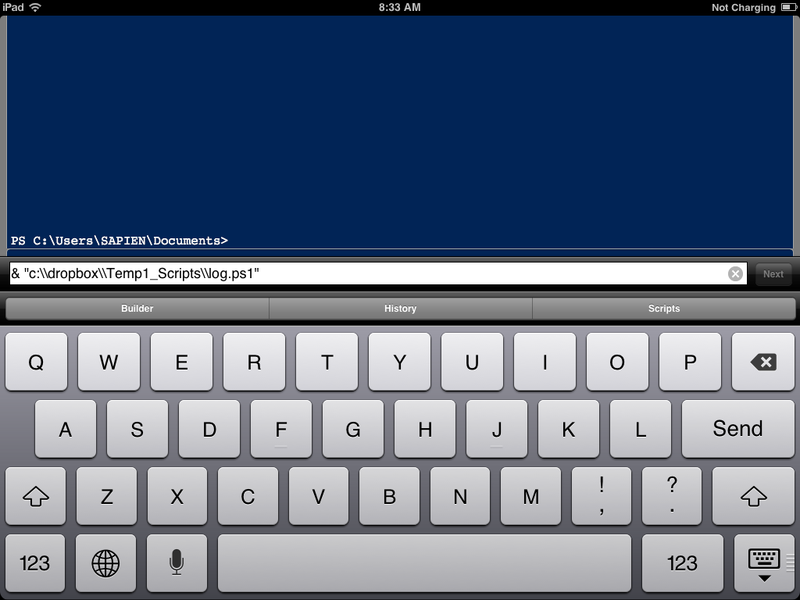 Figure 2: Edit scripts on your mobile device. Press Save when done, then tap the script name to place it on the input line. 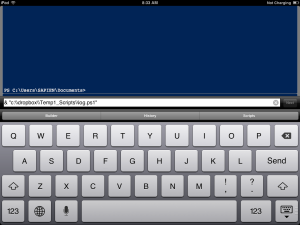 Press the Send button on the keyboard to execute the script on the server. Of course, this will also show up on your History list! For more details come see us at Tech-Ed 2013 in New Orleans June 3-6th, 2013, Booth 2211.